I heard today The Antagonist is back in stock at all leading IVF pharmaceutical providers around the country. But seeing as I’ve been taking the pill for the last 11 days, I’ll be continuing with Operation Nasal Spray, at least for this IVF round. And when I say I’ve been taking the pill, I actually mean, ‘The Pill’. You know, the mid-20th century contraceptive breakthrough which ostensibly gave women reproductive control over their own bodies, as if women throughout the ages hadn’t been making deliberate reproductive decisions one way or another anyway. Which is not me knocking The Pill, even if some of the claims to its ultimate social impact tend a get tad OTT. 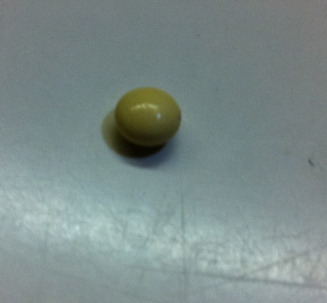 I love The Pill. When I was first starting out on the sexually-active-adult part of my life, The Pill was a simple, effective and clean contraceptive I could manage myself, without having to rely on anybody else, i.e. any guy or guys who happened to be involved. And yes, that gave me a great deal of extremely valued independence and control over my own sexual life. Yay me and all that. Not that I was great at managing it. Taking The Pill, that was. I was crap at taking it, back in the day, when I actually took it so as not to get pregnant. As opposed to now, when I’m taking it for the exact opposite reason. 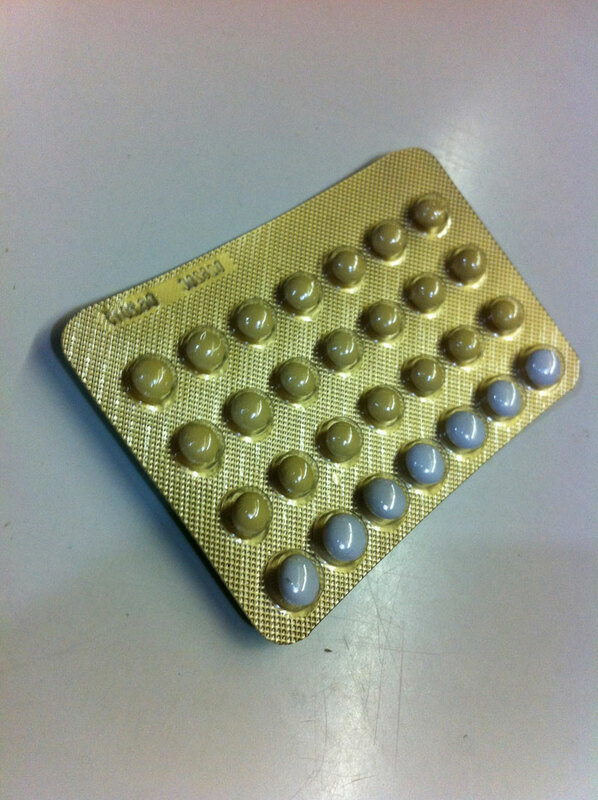 Just to explain, for the sake of any male readers who may not pay attention to their female partners’ contraceptive routines, or who may not have female partners, and for gals who just have never used the thing – The Pill must be taken at exactly the same time every day, and you can not miss a single day, or else it won’t work. Which when you’re not even twenty yet and having a grand fun young life, if not always thinking too sensibly about the impact on your future of the grand fun times you’re having now, is often a pretty hard ask. And even if you take it every day at exactly the same time and don’t miss a single one, but you also happen to get a bit sick – say maybe you get a cold, or food poisoning, or gaestro, or whatever – there’s also a chance it won’t work. In fact, there’s an awful lot of factors that can contribute to The Pill Not Working. Though for me it was always just problems with remembering to take the damn thing. Not that I ever got pregnant, of course. A situation which back then I considered both happy and lucky, but which I maybe should have started looking at a tad more closely. Considering that now I actually do want to get knocked up, but am finding there seems to have been a reason I never fell pregnant back then after all, despite being so crap at remembering to take The Pill. Anyway, I’m a lot stricter with myself these days. I’ve even set an alarm in my smart-phone, because it’s, uh, smart like that. It goes off at 7.30 every night, to remind me (and everyone around me) that there’s something I Just Have To Do. I’m older, more sensible, and paying a lot of freakin’ money for this IVF thang, so I’m not risking it not working all for the sake of a forgotten single yellow pill. For those not in the know, the white ones are the sugar pills – which any gal who’s been on the Pill for longer than a few months learns to skip pretty darn quick – and the yellowy ones are the hormones I’m popping on a daily basis. Still not as exciting as the injections, is it? Anyway, I go see The Nurse this coming Thursday, where I will pick up the nasal sprays and the injections and the instructions on what to do and when to do it, and this Round Two really starts to kick in. Up until now it’s been kind of like the Phoney War – stuff has been happening behind-the-scenes, but nothing feels quite real yet. Come Thursday, I suspect that may be about to change. Especially as I start to shoot hormones I’m reliably informed taste like chlorine up my nostrils. So it’ll get exciting again soon, I promise. Until then, hang in there folks. We’re at that bit of the roller-coaster where we’re all seated in our roller-coaster cars, strapped in to the point of immobility, and being dragged up the first big high bit of track way, way up off the ground, by a clunking, outdated gear-box system we can only hope has been regularly maintained by the ride’s operators. Not to mention desperately trying to calculate our combined sedentary-adult-life weight, in case we’re too heavy for this ride that’s really aimed at younger, fitter, lighter kids. So hang on – this ride’s only just begun.